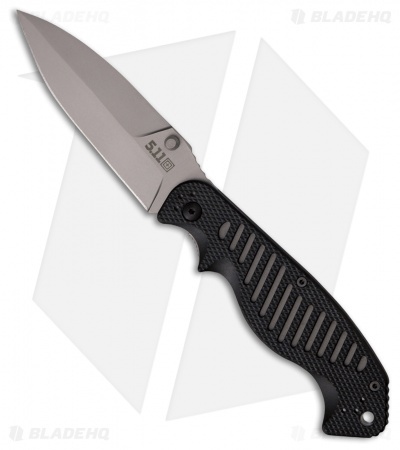 The 5.11 Tactical Counter Strike 3 Dagger liner lock knife with bead blast finish and black FRN handles is a large folding knife purpose build to be a hard use tool. Sporting a 3.75" bead blast spear point blade with Japanese AUS-8 stainless steel for excellent cutting performance. Black FRN textured handles are comfortable in hand while providing fantastic traction in hand. Carrying the CS3 Dagger is easily with the 4 position pocket clip. Japanese AUS-8 stainless steel for excellent cutting performance. Bead blast non-reflective finish for added durability. Ambidextrous tip-up or tip-down stainless steel pocket clip.